If you want clients and prospective clients to think of you as the go-to person, for whatever service you provide, I believe you’ll find this post really useful. It’s based around 3 steps you can take, which will change the way people think and feel about you, so you become their irresistible choice. What is a go-to person? Firstly, I’d like to confirm what I am referring to when I use the term, go-to person. I’m talking specifically about those valued people in business, who we immediately think of when we have a need, related to their area of expertise. When someone thinks of you as their go-to person for a particular need, they go direct to you. •They don’t ask a friend for a recommendation. •They don’t poll their friends on Facebook. •They don’t take their need to a search engine. Clearly, the commercial value of being the go-to person for your marketplace is huge. Not only will you retain your existing clients for longer, you will also attract more inquiries from prospective clients. To earn this valuable position, we need to focus on 3 core areas. Black Willow joined the Niagara Wine Trail in January of 2011. This fulfilled a longtime dream for the owners. They converted a 35-year-old pole barn into their tasting room and production area. They hired a local winemaker as a consultant to ensure the quality of their wines. Black Willow is open seven days a week and currently offers nine wines. They have several new varieties in development. In addition, they have 500 peach trees and 30 cherry trees. Black Willow has product in the SBDC Wine outlet in China. Cindy joined Jinshui Zhang of the NYS SBDC, and Empire State Development on a trade trip to China in the fall of 2012. She has shared what she has learned with others on the wine trail. The Niagara SBDC (Maureen Henderson) helped the clients put together their loan package/business plan to obtain their start-up funding. Additional assistance included aiding the development of their marketing strategy including a comprehensive branding approach and helping them connect with many local resources. Owners Cynthia West-Chamberlain and Michael D. Chamberlain have had a passion for good wine and food for many years. Black Willow Winery has fulfilled a dream of theirs to share this passion with family, friends and guests. Black Willow Winery is located on the south shore of Lake Ontario, on West Lake Road in Burt, New York, conveniently in the heart of the Niagara Wine Trail, USA. The winery sits on 43 beautiful, country acres and has the best soil and drainage in the area suited to growing grapes. West Lake Road is a part of the Great Lakes Seaway Trail, a major travel route for many summer tourists. The tasting room offers many wine accessories, wine glasses, Riedel crystal stemware, wine-themed clothing, handcrafted goods, crackers and cheeses and sausage meats from local vendors for sale. Regional artists have their work on display at the winery and for sale. The facility can be reserved for weddings and other special events. 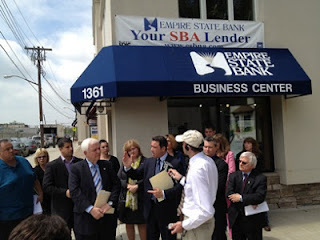 Rep. Michael G. Grimm (R-SI/Brooklyn) was joined by Small Business Development Center of CSI (SBDC) Director Dean L. Balsamini and local small business owners impacted by Sandy on May 20th, 2013 to announce the opening of an SBDC Satellite in New Dorp. The satellite office will be staffed by Business Advisor Joseph Bottega and will offer a variety of services, including disaster recovery assistance. For 20 years the SBDC at CSI has offered free business assistance at the College of Staten Island. 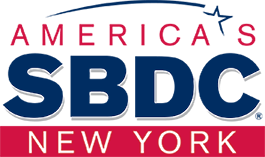 Now with the expanded services into New Dorp with a new satellite office, located at 1361 North Railroad Avenue, this location becomes SI SBDC's second satellite office in addition to the office in Bay Ridge Brooklyn which opened in 2011. 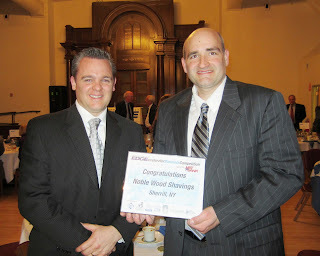 Both locations have expanded the SI SBDC's footprint in assisting small businesses throughout the local area communities. Red Castle Bakeries was founded in 1996 by Marco and Lucille Minuto. The Minutos started this business after Marco was laid off from a 15 year sales and marketing career with a beef patty company located in NYC. 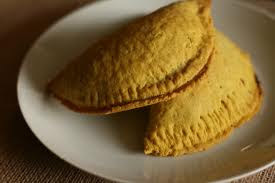 The two decided to start their own manufacturing and distributing company delivering beef patties throughout the Long Island and NYC region. They moved their growing business to their own building in Bayshore in 2007 and grew to employing 25 local residence. Shortly after the expansion, Mrs. Minuto was left a widow. She was faced with selling the business or to continue as the new President and running the operations with her sons. She felt compelled to stay as so many employees and her own children were so vested in the business. She and her son Marco continued to operate and work hard to preserve what had been created. Mrs. Minuto came to the Small Business Development Center in Farmingdale on November 14, just 15 days after Super Storm Sandy devastated so many businesses on Long Island. Her building had been damaged by wind and water damage by rain entering into the building. Compressors for refrigeration and freezer units were damaged and production came to a halt due to the loss of power for 2 weeks. Lucille quickly knew the longer term recovery from this hurricane would be a hardship. Some of her clients were left without businesses leaving her future sales in jeopardy. The need to repair and rebuild needed to happen quickly. Her insurance company entered the claim but Lucille knew that payment would be slow and not cover all that she needed to do be whole again. Lucille submitted her application to the SBA with the assistance from Farmingdale SBDC. On Feb. 14 Lucille was approved for a 94,000.00 SBA disaster loan. She has contacted National Grid to see if she would be eligible to apply for the National Grid Disaster Grant Program. Lucille is looking to replace damaged equipment as well as rebuild the roof of the 46,500 square foot building. Red Castle Bakeries was visited by Congressman Israel as well as Karen Mills, Administrator of U.S. Small Business Administration. Both were impressed by their visit to the factory and hearing the Minuto’s story. Signs.com is launching its Business Hours Giveaway. As a part of the event, the Salt Lake City, UT company is giving 5,000 small businesses a free business hours decal to place on their local store or office window. customizable to meet the needs of any business. Signs.com specifically asked the NYS SBDC to help them highlight this on this blog "as I'm sure there are many of your readers who are small business owners with a physical location that could use a free window decal." The owner set the business up in such a way, that his risk and financial investment was as close to zero as possible. That way, if it failed, his losses would be minimal. With no investment in making the business work and no penalty for failing, he did indeed fail – and extremely fast. You see, whilst he was playing at being in business, his hungry competitors outworked him and outsmarted him. Business today is extremely competitive and competing retailers are working damn hard to make their businesses work. Going into that marketplace, without the willingness to work hard or invest the money required, he could never have succeeded. When he was in the Air Force, while traveling extensively throughout Asia, Europe, Middle East, and the United States, Peter DelCotto developed a wealth of knowledge about food and exotic cultures. He came to believe that food tells a certain story about the people and their environment. He decided to become a chef to share his experiences in other cuisines by highlighting the most popular dishes of each respective culture. In 2011, Peter expressed his passion for cooking in an essay submitted to a ChefUniforms.com contest and won a trip to the National Restaurant Association conference. After earning a degree in Hospitality Management from the Russell J. Salvatore School of Hospitality and Business at Trocaire College in Buffalo, Peter consulted the SBDC for assistance in refining his business plan and financing. 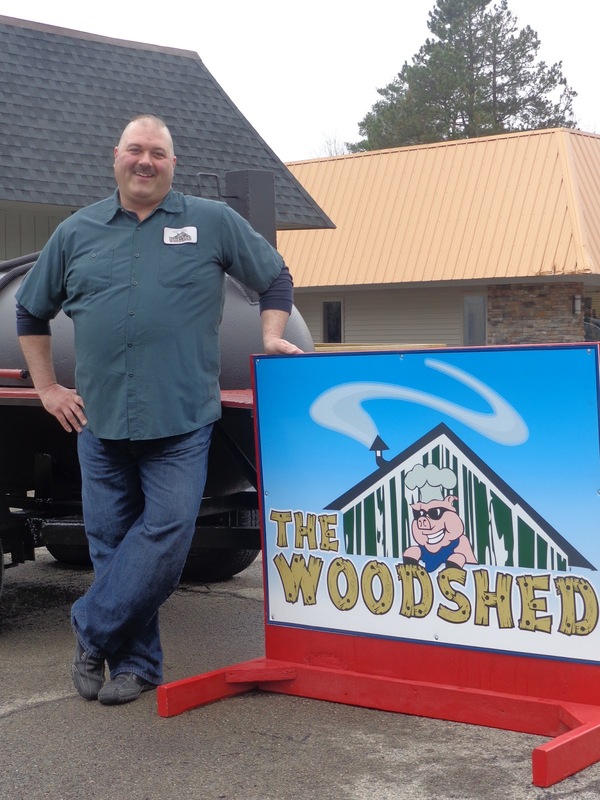 With the help of Business Advisor John McKeone, he got funding and founded The Woodshed, a family owned and operated restaurant that serves up traditional Southern style smokehouse barbecue. The restaurant is Peter’s lifelong dream - a place with a relaxed casual atmosphere and great food on the table. Whether you dine outside on the patio during the summer months or inside during the winter, at The Woodshed, you’ll enjoy an atmosphere that is warm and inviting. A family owned and operated restaurant cooking up traditional Southern Style Smokehouse BBQ and American Style Food all hand crafted utilizing the finest ingredients. Located just outside Buffalo, New York, it's a scenic drive down Rt. 219, at 8038 Boston State Road in Hamburg. A wide variety of flat bread pizzas are available along with our WNY Fish Fry on Friday nights, and Create Your Own Combination Meals. From Breakfast, to Lunch, to Special Event Catering, we've got your slow-cooked BBQ and Homestyle Meals in WNY. The Woodshed was founded as part of a lifelong dream, coupling great food with a relaxed casual atmosphere. Although, many may recall the woodshed as a place where discipline was instilled by our parents, today it is a place of comfort and companionship. The venue's intent is to create an atmosphere that is warm and inviting, coupled with great food and community fellowship. Its creator, Peter Del Cotto is a 9 year Air Force veteran and holds a degree in Hospitality Management from Trocaire College, Russell J. Salvatore School of Hospitality and Business. While in the service, Peter has traveled extensively throughout Asia, Europe, Middle East, and the United States bringing with him a wealth of knowledge about food and exotic cultures. His vision is to share his experience with you, under one roof. This vision could not be realized if it wasn't supported and influenced by friends, family, and patrons like you. WASHINGTON – The U.S. Small Business Administration (SBA) has announced the SBA Veteran Pledge Initiative, a commitment by its top national, regional and community lenders to collectively increase their lending activity to veterans by five percent per year for the next five years. Administrator Mills announced the Initiative Tuesday at Ft. Bragg, NC, together with representatives of the SBA lending community from across the country, the U.S. Army and transitioning service members who have chosen to participate in SBA’s Operation Boots to Business (B2B) Program, an initiative to train veterans and transitioning service members in business entrepreneurship. SBA currently engages veterans through its 68 local SBA district offices, 15 Veterans Business Outreach Centers nationwide, and its partnership with 1,000 Small Business Development Centers and some 12,000 SCORE – Counselors to America’s Small Businesses volunteers. Each year SBA helps more than 200,000 veterans, service-disabled veterans and reservists. To learn more about additional opportunities for veterans available through the SBA, please visit the website at www.sba.gov/veterans. In 2011, Jason DiBenedetto and Leo Rentzis, friends with a shared vision, started Noble Wood Shavings (NWS). NWS is Central New York’s only manufacturing facility dedicated to producing the absolute best quality bedding for horses. They use an exclusive recipe of soft wood species to ensure a top quality product that is consistent, super absorbent, and rot free. The product is super-heated during the drying process to kill bacteria, fungus, and molds. Business Advisor David Lerman worked extensively with the partners to draft a solid business plan and projections. The business plan included several letters of interest from prospective customers, which proved to be key to the successful funding of the project. Locating the business in Sherrill Manufacturing Park with low cost power and overhead helped keep NWS’ operating costs competitive, as did an abundance of local low cost raw material. "A lot (of our business) we found out is word of mouth and repeat customers," Lynn Burkdorf said, but she's hoping participating in Herkimer County Chamber of Commerce's Small Business Week May 19-25 will draw new customers to her establishment, which opened late last year. Throughout the state and the nation, chambers of commerce and business organizations celebrate, honor and promote small businesses through small business weeks or days. During last year's Small Business Saturday - which began in 2010 and takes place the Saturday after Thanksgiving - U.S. consumers spent $5.5 billion at small businesses, American Express spokesman Scott Krugman said. He said no statistics were kept in the two prior years. At the Small Business Development Center at University of Albany, Director Bill Brigham said more could be done. "When I think of a great way of promoting small business, I always think of Small Business Saturday around Christmastime," he said. "Do something to declare a week to recognize and support our small businesses." Graduate of Monroe Community College, Rochester Institute of Technology and St. John Fisher College, Kaye holds an A.S. degree in Computer Science, a B.S. degree in Computational Mathematics and an M.B.A. 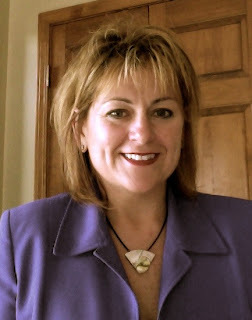 In 2011 Kaye retired from a 25-year career at Xerox Corporation where she spent several years as a senior executive in their North American Service organization. In late 2011, she and her husband Ross formed Stone Goose Enterprises, Inc. and in February 2012, Stone Goose Enterprise, Inc. purchased Smith’s Gravel Pit in Sodus, New York. Kaye is currently the President / CEO of Stone Goose Enterprises, Inc. and President / Owner of Smith’s Gravel Pit. In her roles she runs the day-to-day operations of Smith’s Gravel Pit, an aggregate mining facility; which also provides trucking and excavation services and works strategic development / business expansion for Stone Goose Enterprises, Inc.
Kaye was one of the Rochester Business Journal 40 under Forty recipients in 2004 and in 2006 she was inducted into the Monroe Community College Hall of Fame. Kaye served as the March of Dimes Board Chair for the Genesee Valley Finger Lakes Region from 2004–2011. Currently Kaye resides on the Board of Directors for both the Wayne County Business Council and the Professional Women of Wayne County. Married to Ross Gansz, General Manager for CGS Fabrication, a division of Calvary Automation in Webster, New York; they have a daughter Jacquelyn and son Jon Ross. They currently reside in Newark, New York. On March 8, 2013, a new version of the Form I-9 was released. Beginning May 7, 2013, employers must only use the new Form I-9. Founded in 1986 by Roger and Shelley Gray, Center Line Studios (CLS) builds scenery for Broadway shows, opera, and television. After 9/11, the industry went into a recession. They downsized and moved to a smaller location. They were limited by physical space constraints and were unable to accept projects that would enable the company to grow. In March 2011, they purchased a large building. Vacant for many years, it needed substantial work. They spent the summer cleaning and doing construction. In August 2011, with Hurricane Irene, the creek flooded by taking the most direct path, through the building, delaying their move. In January 2012, their small shop caught on fire. They moved the office to their dining room table. The shop continued to function in the area where the fire damage wasn’t as bad. In February 2012, they met with Mid-Hudson SBDC adviser Myriam Bouchard with the goal of securing a loan to finish the renovations. A few months later, they moved the office out of their living room, and the shop out of the burned facility and into their new headquarters. WASHINGTON – A global climate expert from National Oceanic and Atmospheric Administration (NOAA) will share the 2013 Atlantic Hurricane Season forecast during a free webinar Tuesday, May 28 hosted by SBA and Agility Recovery. After the weather discussion, disaster preparedness tips will be presented by Agility. Dr. Gerry Bell has been the lead scientist of NOAA’s Long-Range Hurricane Outlook Team since 1998. He was instrumental in developing NOAA’s Atlantic and East Pacific hurricane activity outlook, and has done weather analysis on CNN and The Weather Channel. The Atlantic Hurricane Season begins June 1. Last year’s season ended memorably when Hurricane Sandy pounded the Eastern Seaboard in late October. The storm caused billions of dollars in damages, and so far the SBA has approved about $370 million in disaster loans to more than 3,500 businesses affected by Sandy. Now is a good time to protect your employees, customers and business from the devastating physical and economic toll of disasters by making a plan to be safe and stay in business. During the webinar, Agility Recovery President Bob Boyd will share practical business continuity tips. SBA has partnered with Agility to offer disaster preparedness strategies through its “PrepareMyBusiness” website. Visit www.preparemybusiness.org to access past webinars. The Internet, in the popular imagination, is supposed to be free... But you don’t have to be a right-winger to recoil at the idea of an Internet sales tax. People who shop online have always gotten a free ride... Many states require you to pay that extra sales tax on your tax return, but who does that? Nobody, that’s who. The net effect is that shopping online earns you a big, permanent discount. If you’re buying anything big, it almost always makes sense to avoid physical stores. At least, it did until recently. During the last two years, Amazon, which had long led the charge against efforts to collect sales tax on online purchases, suddenly began striking tax deals with states. This was a strategic capitulation—by agreeing to collect taxes, Amazon can now build huge warehouses across the country. (It had previously avoided setting up warehouses in many states in an effort to avoid creating a “tax nexus.”) The warehouses allow Amazon to significantly increase its shipping speed, approaching same-day shipping in many areas. Brilliantly, Amazon has turned the tax issue into an advantage. But don’t hate this bill just because you’ll end up paying more. The Marketplace Fairness Act does something that’s almost unheard of: It makes taxes fairer and simpler. There’s also a carve-out for small businesses—any online company with less than $1 million in annual revenue will be exempt from the law. Trade Finance Guide: A Quick Reference for U.S. Exporters. Check out the Trade Finance Guide: A Quick Reference for U.S. Exporters. Spanish version now available! This guide is designed to help U.S. companies, especially small and medium-sized enterprises, learn the basics of trade finance so that they can turn their export opportunities into actual sales and achieve the ultimate goal of getting paid—especially on time—for those sales. Visit this site to download your copy - in English or Spanish! The May edition (Vol: 32 , No: 4) of the Small Business Advocate spotlights the chief counsel’s recent visits to Regions II and VII to meet with small businesses, learn about their operations, and hear their concerns firsthand. The Chief Counsel’s message recaps Dr. Sargeant’s testimony on Advocacy’s FY 2014 budget request. The issue also summarizes Advocacy comments on proposed FCC Aviation Communications Rules. And finally, it bids a fond farewell to Jody Wharton, director of information, on her retirement from federal service. At a time when federal spending is being held in check, the SBA proposes to finance the new training course by pulling back on funding for some existing programs. The budget request, for instance, would reduce funding for SBDCs by more than $9.8 million next year and by nearly $500,000 for the SCORE program, both of which tend to target startups and very small businesses. New York State has opened two Sandy assistance centers in Babylon Town - one in Lindenhurst and one in North Babylon. A New York State Small Business Development Center Disaster Recovery Center is now open at 19 West Hoffman Avenue in Lindenhurst for small business owners seeking assistance, according to information posted on the Town of Babylon website . Meanwhile, the Babylon Town Hall Annex, located at 281 Phelps Lane in North Babylon, will serve as a Sandy Help Team Intake Center. It'll provide assistance to those homeowners applying for storm-related assistance. WASHINGTON –An interim final rule published in the Federal Register and effective immediately will amend regulations to the U.S. Small Business Administration’s Women-Owned Small Business Federal Contract Program allowing for greater access to federal contracting opportunities for women-owned businesses as a result of the National Defense Authorization Act of 2013 (NDAA) signed in January. The interim final rule removes the anticipated award price of the contract thresholds for women-owned small businesses (WOSB) and economically disadvantaged women-owned small businesses (EDWOSB) to allow them greater access to federal contracting opportunities without limitations to the size of the contract. The rule can be accessed HERE and comments can be submitted on or before June 6, 2013, at www.regulations.gov, identified by the following RIN number: RIN 3245-AG55. As a result of the rule change, contracting officers will be able to set aside specific contracts for certified WOSBs and EDWOSBs at any dollar level which will help federal agencies achieve the existing statutory goal of five percent of federal contracting dollars being awarded to WOSBs. The SBA is currently working on the changes to the Federal Acquisition Regulations. For more information on the Women-Owned Federal Small Business Contract Program or to access the instructions, applications or database, please visit www.sba.gov/wosb. In 2011, total employment from all U.S. business sectors was 113.4 million, an increase of 1.5 million employees from 2010, according to new statistics released by the U.S. Census Bureau. The mining, quarrying, and oil and gas extraction sector led the way with a 12.0 percent increase in employment from 2010 to 2011. This year is the first since 2008 in which U.S. businesses reported an increase in employment over the prior year. There were 7.4 million U.S. businesses with paid employees for 2011, a loss of 42,585 establishments from 2010. This is the fourth consecutive year of decline for the number of U.S. businesses. These new findings released today are from County Business Patterns: 2011, which provides the only detailed annual information on the number of establishments, employees, and quarterly and annual payroll for nearly 1,200 industries covered at the national, state and county levels. The statistics are broken down according to employment-size classes (for example, number of establishments with one to four employees) and legal form of organization (for example, corporations and partnerships). North Dakota showed the largest percentage rise in the number of establishments, total number of employees and total payroll for any state in 2011. There were 22,370 establishments in North Dakota in 2011, an increase of 538 (2.5 percent) from 2010. There were 306,064 employees in North Dakota in 2011, an increase of 11,157 (3.8 percent) from 2010. Annual payroll was at $12.3 billion, up $1.7 billion (16.5 percent) from 2010. Among the top 50 counties in the United States ranked by number of establishments, Kings County, N.Y. (Brooklyn) had the largest percent increase in establishments and employment, with a gain of 1,625 establishments (3.4 percent) to 49,837 establishments, and a gain of 24,368 employees (5.0 percent) to 513,746 employees for 2011. Other industry sectors that had an increase in employment included administrative and support and waste management and remediation services (4.6 percent), educational services (3.4 percent), management of companies and enterprises (3.1 percent), and transportation and warehousing (2.4 percent). Health care and social assistance added the most establishments, with 5,866 in 2011 (up 0.7 percent). Construction showed the largest decline in establishments, losing 24,946 establishments (3.7 percent) in 2011, down to 657,738 overall. The retail trade sector had the highest number of establishments (1.1 million). Next were professional, scientific and technical services (850,903); health care and social assistance (818,726); other services (except public administration) (722,398); construction (657,738); and accommodation and food services (649,011). In conjunction with the release on the 2011 County Business Patterns, the Census Bureau has updated the Measuring America: County Business and Demographics Map. The map provides an interactive, easy-to-understand overview of how many types of businesses are in your community or anywhere else in the U.S. The map includes 2011 County Business Patterns statistics combined with demographic statistics from the 2010 Census. County Business Patterns excludes business owners who were self-employed, employees of private households, railroad employees, agriculture production workers and most government employees. Information on businesses without paid employees is released as part of the upcoming 2011 Nonemployer Statistics report. County Business Patterns data by five-digit ZIP codes will be released in May 2013. The New York State Department of Taxation and Finance has`announced that it published a new Web page regarding identity theft. The new Web page spells out what to do next if you think you may be the victim of identity theft. It also provides several links to information, such as the Internal Revenue Service's (IRS) Taxpayer Guide to Identity Theft, that help taxpayers make identity protection part of their regular routine. Identity theft is one of the fastest growing economic crimes in the nation, but taxpayers often don't realize their information has been stolen until they receive an unexpected notice about their tax account from the Tax Department or the IRS. Once identity theft is reported to the Tax Department, the agency can correct an account by removing any fraudulent returns from the record, and it can cancel bills issued that are related to the fraud. To head-off any additional suspicious activity, the Department will devote extra attention to future returns associated with the account. The U.S. Small Business Administration and the W20 Group, an entrepreneurial ecosystem of digital communications companies, will present Blogging 101, the second topic in the five-topic social media webinar series that will run through June. The webinar will help small business owners create content to connect with their customers and market their products. Blogging is a beneficial tool for small business owners because it is a cost-effective way to communicate their expertise and message directly to a larger audience, expand the company’s web presence and build their brand. Topics for future webinars in the social media webinar series include: Creating Content for Facebook, YouTube and Twitter, Identifying and Connecting with your Influencers and Getting Started with Mobile and Location-based Marketing. What do people complain about most? Meetings. What do workers love about working from home? No meetings. Meetings are the bane of the working day, and yet it's hard to do anything without them. These days, recognizing that collaboration tends to be more creative than assembly-line thinking, getting people together is how we make things happen. But meetings are very expensive. Fear is a major stumbling block for many business owners. It causes them to make decisions, which seriously sabotage their chances of success. Thankfully, the fears that stand between where we are and what we want to achieve, can be overcome.